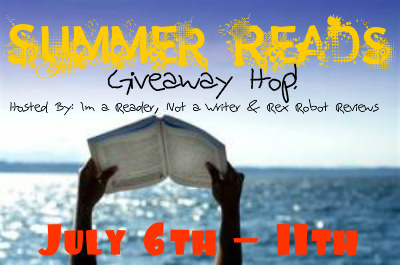 Thank you for making it all the way to my stop on the Summer Reads Giveaway Hop, hosted by I'm a Reader, Not a Writer and co-hosted by Rex Robot Reviews! 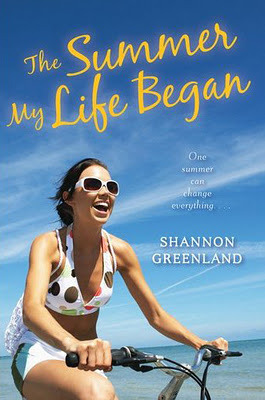 I'm giving away a paperback copy of The Summer My Life Began by Shannon Greenland. The prize will ship from The Book Depository so make sure you're in a country they will ship to by clicking HERE! Giveaway is open internationally as long as The Book Depository ships to your country. Check out all the other stops in the hop here! A great summer beach read filled with sunshine, cooking, and—of course—romance! Elizabeth Margaret--better known as Em--has always known what her life would contain: an internship at her father's firm, a degree from Harvard, and a career as a lawyer. The only problem is, it's not what she wants. So when she gets the opportunity to get away and spend a month with the aunt she never knew, she jumps at the chance. While there, Em learns that her family has some pretty significant secrets. And then there's Cade, the laid-back local surfer boy who seems to be everything Em isn't. Naturally, she can't resist him, and as their romance blossoms, Em feels that for the first time ever, she is really living life on her own terms. I loved Obsidian by Jennifer L. Armentrout! Thanks for the giveaway. It sounds like a cute book. My favorite summer read was Ten Things We Did!! The Statistical Probability of Love at First Sight! My favorite summer read is Something Like Normal by Trish Doller. Thank you for the giveaway. My favorite summer read 2012 is so far Dark Lover by J. R. Ward. My favourite summer reads of 2012 so far are "Slammed" and its sequel, "Point of Retreat" by Colleen Hoover. Thanks for the giveaway! Such A Rush by Jennifer Echols. I absolutely LOVED this book! Favorite so far is At Peace by Kristen Ashley. So far, I loved Something Like Normal by Trish Doller. Ciyt of Lost Souls and dark Companion! My favorite summer read is Ten Things We Did (And We Probably Shouldn't Have) by Sarah Mlynowski! If May is summer,than Insurgent. If not, My Life Next Door. probably games of thrones or Of poseidon! thanks for making this intertnational! I loved The Immortal Rules. I loved Under the Never Sky and Clockwork Prince!! From Bad to Cursed by Katie Alender--I read it in a day, which I NEVER do, and part of it was at the beack!